Introducing: the Snapshot Series – Occasionally in my travels I come across a theater that I can’t find a lot of information on, or that I only have a chance to photograph for an hour or two. They’re still beautiful and fascinating, so they definitely have a place on After the Final Curtain. View from the back of the auditorium. 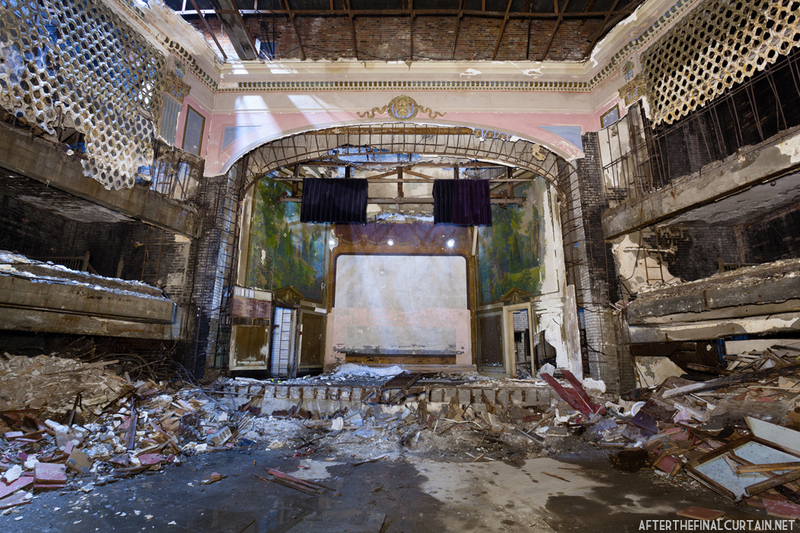 The Liberty Theatre opened in 1922 in Dorchester, MA. It was operated by New England Theatres and showed primarily silent films. 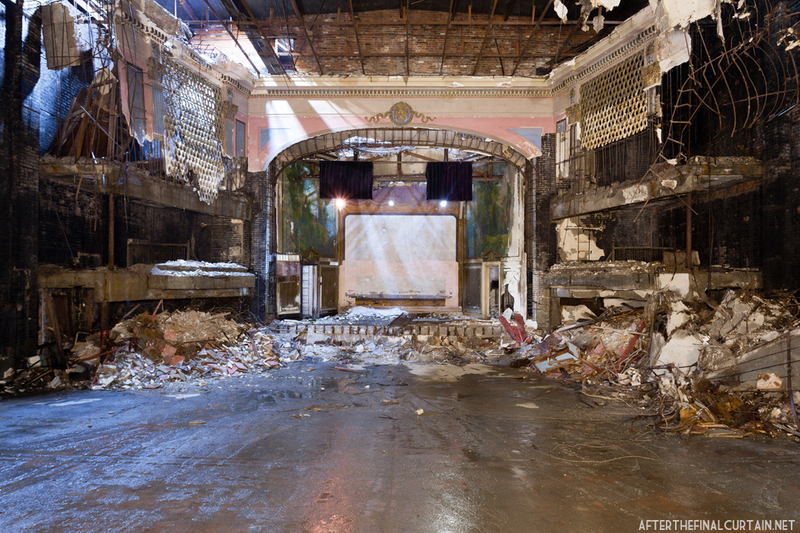 The 898-seat theater was in poor shape by 1941 and was later sold to ATC Theatres. In 1949, the Liberty was remodeled and reopened as an art house theater, but ended up closing in the 1950s. It was used as a household appliance warehouse in the 1960’s and later as a church until 1977, when it was converted to a warehouse for storage. 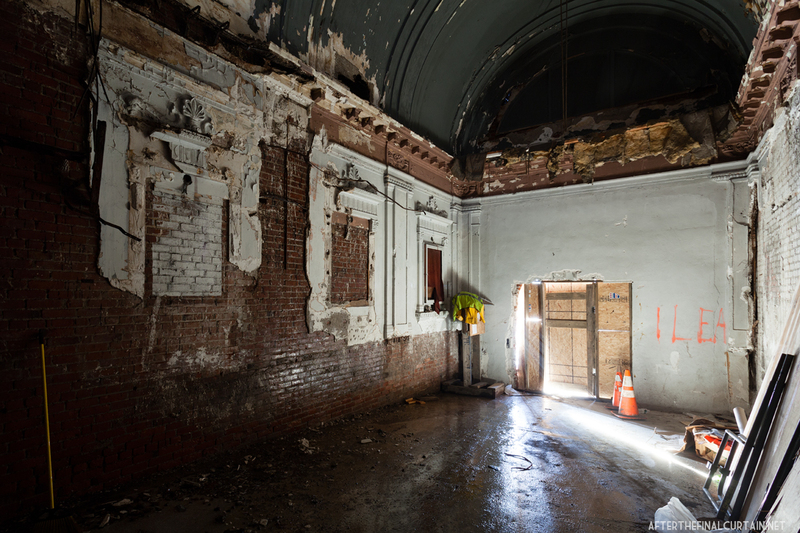 The lobby of the Liberty Theatre. 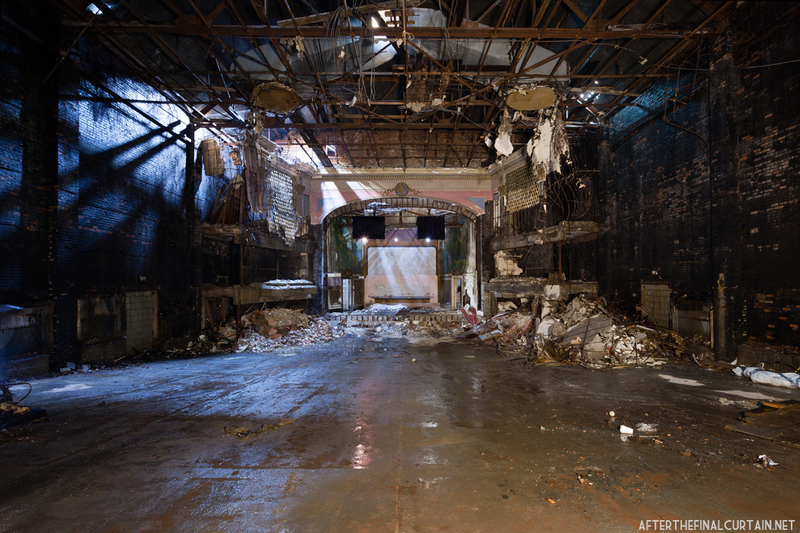 The Liberty Theatre was demolished in early 2013. 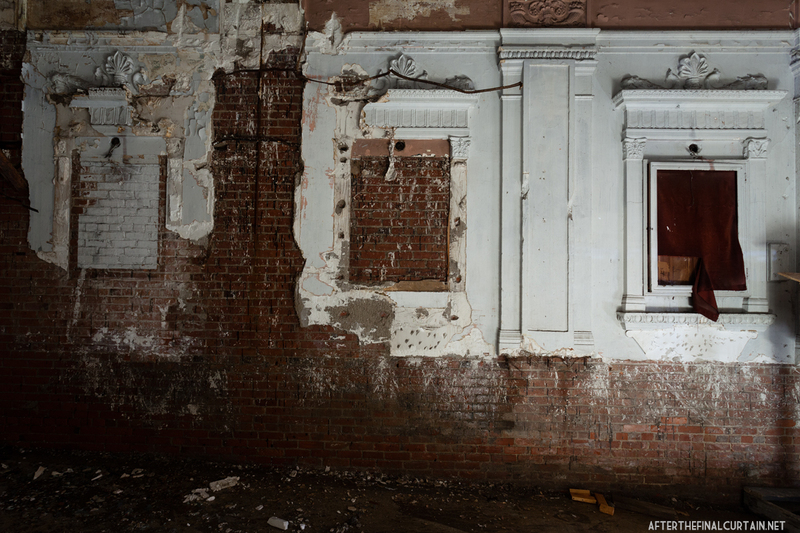 Much of the theater had been demolished before I had the chance to photograph it. 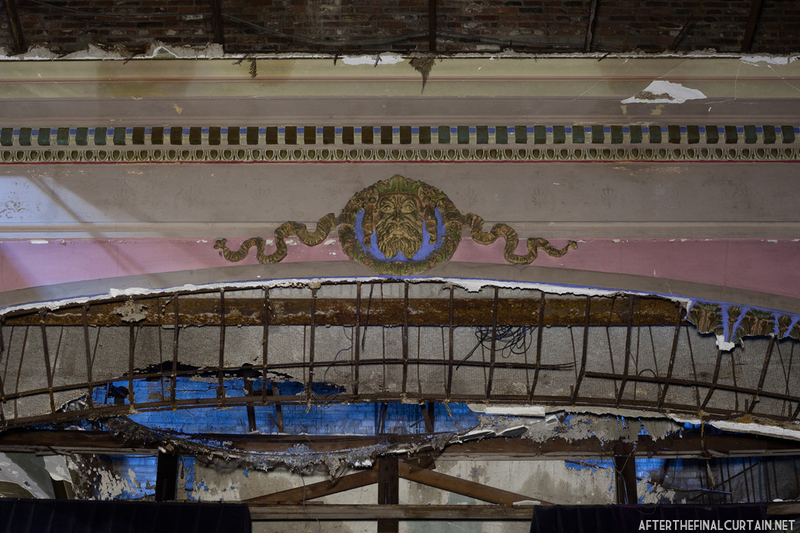 A close up of the proscenium arch. A close up of some of the remaining plasterwork in the lobby. 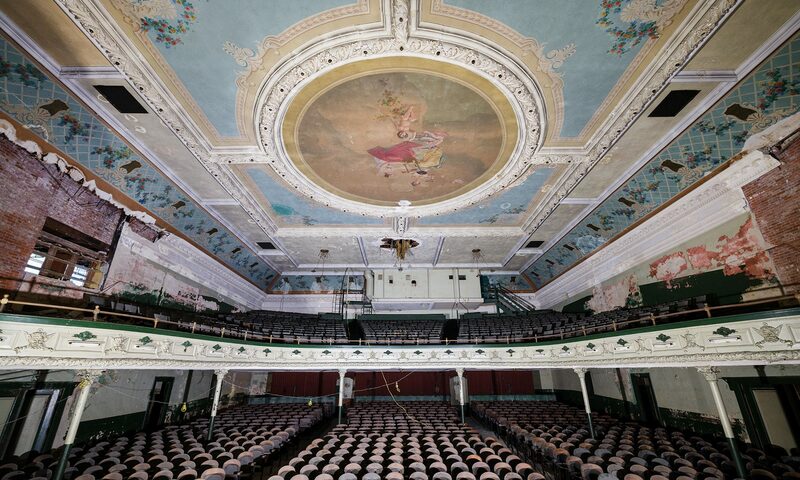 may I ask, how you are lucky enough to photograph much of these theatres? do u have more photos? No. The building was demolished pretty soon after these were taken.